The domestic unit on Thursday climbed 19 paise to close at 68.92, also marking a third straight session of gains, driven by sustained foreign fund inflows. 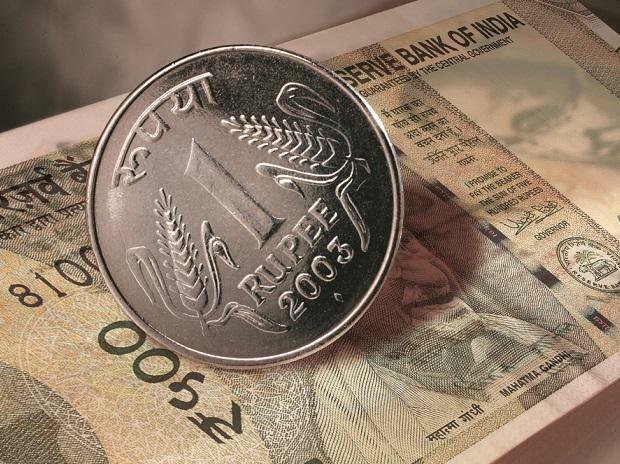 The rupee opened 12 paise lower at 69.04 against the US dollar on Friday amid firm crude oil prices and mixed Asian equities. The domestic unit on Thursday climbed 19 paise to close at 68.92, also marking a third straight session of gains, driven by sustained foreign fund inflows. Besides, weakness in the greenback against major global currencies and easing crude prices aided the rupee uptrend. On the domestic front, CPI inflation numbers for March and industrial production data for February will be released. Expectation is that inflation could grow at a pace of 2.8 per cent compared to 2.57 per cent rise in the previous month. Industrial production also is expected to grow at a modest pace in February. Today, "USD/INR pair is expected to quote in the range of 69.05 and 69.80," says Gaurang Somaiya, Research Analyst (Currency) at Motilal Oswal Financial Services (MOFSL). On the global front, Asian shares were flat and U.S. Treasury yields pulled back on Friday as investor caution prevailed ahead of the release of first-quarter corporate earnings, although stronger U.S. economic data helped offset some concerns about global growth, Reuters reported. In the currency market, the dollar was up less than 0.1 per cent against the yen at 111.73. The dollar index was down 0.1 per cent at 97.047, said a Reuters report. Oil prices were firm, supported by ongoing supply cuts led by producer club OPEC and by US sanctions on petroleum exporters Iran and Venezuela.